Sylvia Yee, Vice President of Programs at the Evelyn & Walter Haas, Jr. Fund, recently retired. 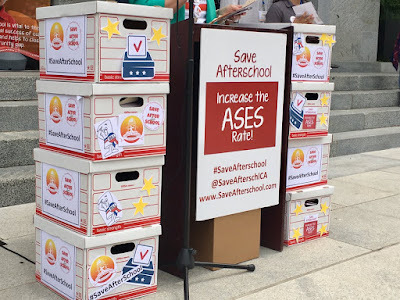 Ms. Yee, who joined the Haas Jr. Fund in 1993, had a profound impact on the afterschool and youth development movement in the San Francisco Bay Area and the state of California. She was a strong believer in the importance of schools working closely with the communities they serve, and the power of public and private partnerships. We recently conducted a video interview with Ms. Yee before she retired. Below we offer some excerpts from that interview. Q: How did you form your interest in the Beacon Schools model? A: I got interested in the New York Beacons during a visit to New York in 1992. I was able to see live what a community school looked like:a school that opened its doors after school, on the weekends, in the evening that had this really close connection to community. Debbie Alvarez from SFUSD, Laura Pickney from the mayor's office, and several other private funders, conducted a joint visit to New York. All of us came away just energized by what it would mean to recreate this in San Francisco. Q: What did you find most interesting about the Beacon Schools model? A: One of the things that was new about Beacon Schools was that it was a Community Center in a school setting, and that the (quality of the) relationship and the partnership between the community and the school was actually pretty new. It was also unique in the sense that this was about smart government. This was about using underutilized public space that lay empty on the weekends and evenings and after school. It was a smarter way for government to partner with non-profit organizations and to partner with community groups in a new way to serve kids. Remember this was before California Proposition 49 and the federal 21st Century Community Learning Centers initiative. It wasn't just about the use of school space. It was also about how kids were served. This was just at the beginning of the Youth Development Movement, and the exciting new youth development ideas which were about what all kids need to grow up healthy. 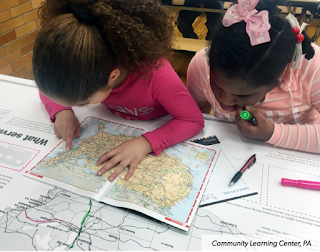 The New York Beacons were attractive because it was this coming together, this partnership between the community and non-profits in school sites. They were a space where kids could experience a whole variety of activity and programs and spread their wings. Q: How did you adapt this model to San Francisco? A: When we brought Beacons to San Francisco, we did it in a San Francisco way. We asked kids and parents in each of the neighborhoods what they wanted in their Beacons. At the same time as we established some common goals and principles for all Beacons, and some common programs that we wanted, we encouraged each Beacon to be culturally relevant to their neighborhood and to their kids--to do things in a way that was responsive and made sense to them. That's what I meant by doing it in a San Francisco way. We helped bring private funders together and formed a philanthropic collaborative that made it easier for the Beacons because we all agreed that all of the sites would submit a single proposal, instead of submitting 10 different proposals to 10 different foundations, and that we would all receive common reports. Everybody tried to figure out how to “bust the barriers” to making this successful. Q: What were some of the challenges? A: Very simple things in the beginning seemed like big barriers: for schools and non-profit organizations to learn how to really be partners, to negotiate who cleans up the classrooms after the after school programs, to negotiate extra hours for the janitors. There were some really hard nitty-gritty things that made using school sites difficult to use, and I am happy that the Beacons helped pave the way so that today, many more organizations and many more schools can have this kind of relationship more easily. Sylvia Yee, former Vice President of Programs at the Evelyn and Walter Haas, Jr. Fund, started her career as a high school teacher. She moved on to administer educational programs at the elementary, secondary, and university levels in the United States and in China. 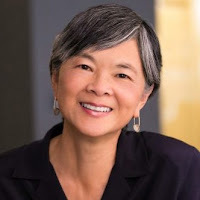 Passionate about social justice, Yee has been active in the fight for equal rights and opportunities at the local and national levels, and championed immigrant rights and gay and lesbian rights over the last two decades. A long-time community activist and leader, she was the chair of the Bernal Heights Neighborhood Center in San Francisco where she led the center’s organizing and other activities aimed at addressing issues such as affordable housing and services for low-income seniors and youth. She also led a community nonprofit agency, Mission Graduates, which provides college going support to low-income, immigrant children in San Francisco and later worked as a program executive in education and health at the San Francisco Foundation. Over the last two years, we have sponsored numerous screenings of Finding the Gold Within, a film by Karina Epperlein. FINDING THE GOLD WITHIN follows six African American college students from Akron, Ohio, for three and a half years. They have been mentored by the unique after school program Alchemy, Inc. and are well equipped with self-confidence and critical-thinking skills, ready to become the heroes within their own stories. The protagonists grow before our eyes, whether navigating racial provocations, or seeking support with friends, estranged fathers, and wise grandmothers. Each of them is hell-bent on disproving society's stereotypes and low expectations. What will their paths and trials look like? These screenings were conducted in partnership with Alameda County Office of Education; the San Francisco Department of Children, Youth, and Their Families; and Oakland Unified School District. Our latest screening was for participants at the 2017 BOOST Conference. We also featured mentors and youth from Alchemy, Inc. at our conferences and Speaker's Forums. We are excited to announce that Finding the Gold Within is now available for streaming on several platforms: Amazon Prime, iTunes, Google Play, Vudu, and Hoopla. We encourage everyone to view this documentary and share with youth and other afterschool stakeholders. We have been promoting the use of mindfulness techniques in afterschool to address the self care of youth workers and the needs of youth participants. 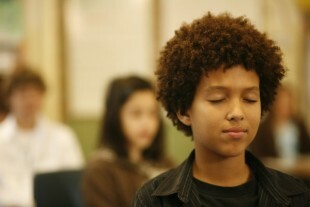 Mindfulness is well aligned with social emotional learning (SEL). There is new information and growing evidence that confirms that mindfulness exercises within school and afterschool settings are excellent ways to promote the health and well-being of adult staff and increase impulse control and ability to stay focused among youth who participate in the exercises. Over the years, we have conducted trainings for the Riverside County Office of Education and Delano Union School District. 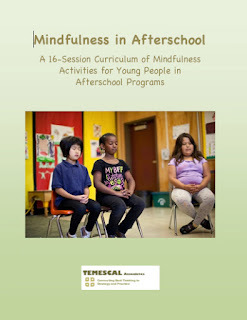 We have posted interviews with Ken Dyar and Allison Haynes on their experience of Mindfulness in Afterschool. We were thrilled when Dr. Katarina Roy Schanz, Student Assistance Program Coordinator at Riverside Unified School District, requested training for her in-school staff. This was a great example of "trickle up" - from afterschool to school day. Below Dr. Roy Schanz responded to a couple of questions for this blog post. Q: Why are you bringing mindfulness into Riverside Unified School District? A: The primary target group for this mindfulness training are our Student Assistance Program (SAP) Counselors and SAP Behavior Support Teams. We are hoping to add another skill set for them to use in their work with students. Additionally, adding mindfulness to their self-care practice will help the team both personally and professionally. Q: What are you hoping that you can accomplish with mindfulness training for school personnel? A: The research around mindfulness in schools prompted our decision to provide this training for our Student Assistance Program team. They will then take their learning to the staff and students at their respective schools. We’re hoping that by implementing a mindfulness practice, we will see decreases in anxiety and improvements in self-awareness and social-emotional skills, among other positive changes. Dr. Katarina Roy Schanz is the Coordinator of the Student Assistance Program with Riverside Unified School District. Dr. Roy Schanz has been an educator for 21 years. She has served as a school counselor, assistant principal, and principal. Dr. Roy Schanz holds two Master’s degrees, one in School Counseling from the University of La Verne and the other in Educational Administration from California State University, San Bernardino. Additionally, she earned her Doctorate in Organizational Leadership from the University of La Verne. Temescal Associates developed a 16-week curriculum for afterschool workers as well as a two-day training for school and afterschool staff. You can view the curriculum here and contact us if you wish to purchase a full color hard copy.